In the ongoing race of becoming AI Superpowers, major countries across the globe have released their AI strategies to accelerate the use and potential development of the technology. In past one-year, significant countries and regions including Canada, China, Denmark, the EU Commission, Finland, France, India, Italy, Japan, Mexico, the Nordic-Baltic region, Singapore, South Korea, Sweden, Taiwan, the UAE, and the UK came up with their AI national strategies and interestingly no two strategies are similar in their respective conduct. Different strategies focus on different areas like – Scientific research, Talent development, Skills and Education, Public and Private Sector Adoption of Technology, Ethics and Inclusion, Standard and Regulations and Data and Digital Infrastructure. 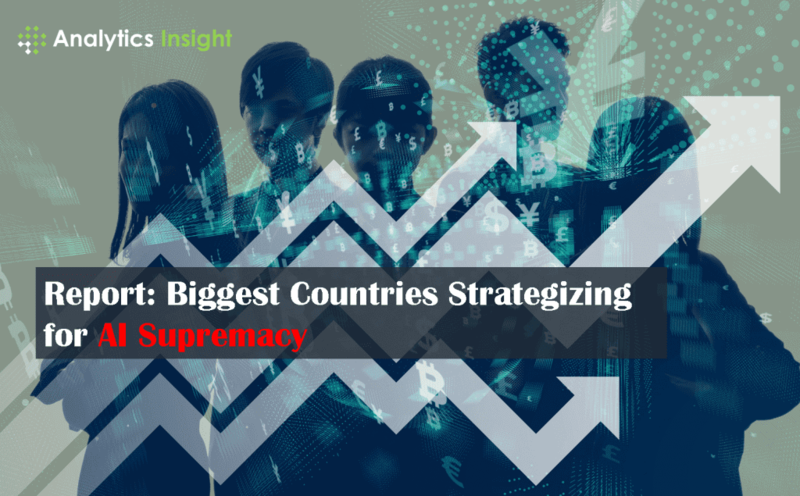 Here are some key policies and objectives of strategies of some significant players from the list of biggest countries. • Instead of having any central AI policy, certain individual projects are sponsored by military and paramilitary departments including DARPA and IARPA in the region. • In the US, artificial intelligence industry research work is driven by academia and private sectors. • The government does not possess a synchronized national strategy to boost investments in AI or tackle hurdles in its developments. • To achieve these objectives a new Select Committee was formed for advising the government on AI Research and Development work and also considering the key partnerships with industry and academia. • The government also focus on overcoming the regulatory barriers in the path of innovation to provide flexibility to American companies for flourishing ahead. • Pentagon declared a new joint AI center that will monitor the major proportion of service and defense organization AI actions. • Currently, the Defense Department has accelerated endeavors to adopt AI, moving $75 million of its yearly spending plan to another office that will build up these technologies. • Other government agencies likewise have major ventures in progress. • Numerous AI specialists have stressed that the best talent in the US is moving to organizations like Google and Amazon and far from government agencies which becomes a major issue to consider. 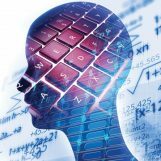 • The administration intends to work with the National Council for the American Worker to make educational endeavors through industry and the academic world and it will approach government agencies to create associations related to AI. • Trump highlighted that the fate of AI does not rely upon government dollars. He proceeded to recommend that venture capitalists and organizations are now eager to put resources into the innovation. • Regardless of whether it’s governments or industry, there is now a lot of financing for AI research and product development and this doesn’t seem, by all accounts, to be backing off. • The more achievement AI-related advancements have in the market, the greater investment will come. • The development is being driven by industry as this technology adds to truly significant products and services that organizations are eager to pay for, yet they’re not purchasing AI, they’re purchasing the pragmatic solutions that organizations like ours build. • The country is investing around $7 billion by 2030. • The investment includes $2 billion for a research park in Beijing. • The government predicts a $150 billion AI-centric industry by 2030 regulated by a comprehensive national strategy to shine as the global leader in AI technology. • Reportedly, 48% of funding is provided to Chinese startups for AI-powered projects. • In July 2017 plan, China announced A Next Generation Artificial Intelligence Development Plan. • The plan is considered as the most comprehensive national AI strategies among all countries. • The strategy has an initial focus on Research and Development work and then throws light on industrialization, talent development, education and skill acquisition, regulatory norms and AI security. • The approach of this strategy is quite clear and can be well explained in 3 steps – (i) bringing China on the same page with the AI industry competitors by 2020, (ii) Becoming world leader in some of the AI empowered branches by 2025 and (iii) Achieving the status of primary AI innovation centre by 2030. • The government plans to hire some of the best AI talents in their workforce. • After the announcement of the Next Generation Plan, the government introduced a 3-year action plan to upgrade the development of New-Age AI Industry. • Additionally, the Chinese government is working in partnership with national technology companies to accelerate research and industrial excellence. • The United Kingdom declared a deal between private and public groups to generate more than $200 million investment in AI. • The country is ready to invest $30 million to construct AI tech incubators. • The VC firm Global Brain has decided to invest $50 million and Chrysalix is pledging $100 million into the AI-centric projects. • Government is planning to take active participation in providing funds to academic research and supporting 1,000 AI PhDs too. • Unlike, US and China, UK claims that it cannot overspend the funds as other countries are doing rather it would focus a particular area for specialization (let’s say AI ethics to attain competitive benefits). • In order to gain leadership in AI global race, the UK has been very comprehensive with its policies to accelerate public and private research and development investment and STEM education sponsorships. • Major domestic and foreign technologies company devote around €300 million in private sector AI development works. • The country has followed an extraordinary approach to National AI strategy which includes the contribution of AI in uplifting economic and well as social standards of the nation. • NITI Aayog came up the inclusive approach named as #AIforAll which aims at varied aspects of growth. • The strategy empowers and encourages India with skills to look out for better job qualities. • India has planned to invest in research and other sectors of AI which can be leveraged in the economic and social acceleration of the country. • The think tank organization of India has provided with 30 policies that recommend the investment in scientific research, encouraging upskilling and training, acceleration of AI adoption to promote business ethics, privacy and security. • The ICTAIs will zoom into the creation of AI-based applications in domains of societal importance. • The implementation of AI can benefit various sectors in India including – healthcare, agriculture, education, smart cities, and smart vehicles. • Developing sector-specific regulatory guidelines over privacy, ethics and creating a national AI marketplace can increase market discovery. • The process will also cut off the cost and time of data collection and the time taken by the overall workforce to acquire skills. • Hence the overall analysis if India’s National AI strategy indicates that India to be pictured as AI garage. If a company can leverage AI in India, it will be applicable to other developing countries as well. • Russian President Vladimir Putin has ordered the professionals to develop a national strategy for artificial intelligence by June 15, 2019. • The Russian government is determined responsible for leveraging AI strategies by summers of 2019. • Also, the President ordered to develop ways to stimulate investment in AI centric Hi-Tech projects. • The projects will also be empowered by the technologies like IoT, Robotics and Large set of data processing. • It has also been ordered by the government to develop 15 scientific and educational institutes in Russia by January 2022. • The national strategy of Russia aligns government, military, academic, and private resources to gear up the country’s AI development. • Like the USA, Russia plans for AI-powered research and development, support for AI standards and creation of a capable workforce. • The Russian government is dedicated to creating AI infrastructure to bridge a complementary bond between the country’s public and private high technology sectors. • The strategy also aims at mobilizing the communities for AI breakthrough. • Russia aims to invest hundreds of millions of dollars to create a digital technology economy which includes domestics investments as well. Why Books will be Your Best Friend This Year?